There’s a very high chance that you haven’t heard of marula oil; you’re not the odd one out. The truth is that a lot of people have not hear about the fruit, so knowing about the oil is far-fetched. The Marula oil is extracted from the kernel of the fruits of the Marula tree, which is native to southern Africa. 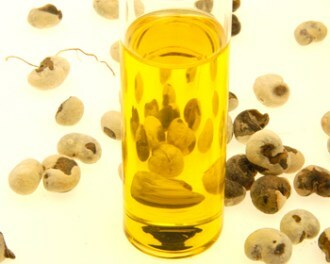 This oil is used for cooking, to treat leather and for cosmetic purposes among other things. Traditionally, the people in southern Africa have known the benefits of this oil for moisturizing the skin and this is why their women use it for their skins and for their babies. It is said that women used Marula oil instead of water to clean themselves in times past. Marula is a good choice for treating scars and stretch marks. When used regularly over a period of time, it will help to reduce the appearance of scars or stretch marks. It can also be used to prevent stretch marks. The reason for this is that it contains fatty acids, antioxidants and other minerals. Another reason why it works so well is that it easily absorbs into the skin. You can use it massage your skin to get best results and leave your skin supple. If you suffer from skin conditions like eczema, Marula oil is definitely worth the try. Instead of all those products with petroleum bases and artificial fragrances, this natural oil will nourish and moisturize your skin to improve its hydration and prevent dryness which is a trigger for many of these skin conditions. 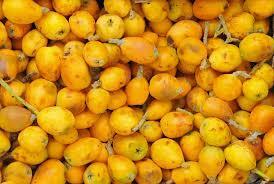 Marula oil contains vitamins C and E alongside fatty acids which combat free radicals and help to reduce their damage. The result of this is a skin with a youthful look as it helps the skin to repair itself by boosting it capacity to produce collagen to maintain softness. You can use this oil at night before you sleep; you can also use as a pre-shower or post-shower anti-aging moisturizer. You can use Marula oil to improve the firmness of your skin, reduce pigmentation, boost your complexion and smoothen out your skin. Containing vitamin C and fatty acids, it helps to deal with areas of cellulite. With regular application of this oil, you skin will turn out smooth soft and silky. You can use Marula oil as a healthy means of taking off your make up. It will help you avoid any damage to your skin due to harsh chemicals and also nourish your skin. You can simply dab some on a cotton pad to wipe off your makeup and rinse your face with water afterwards. This is a great way to remove makeup without stripping your skin of too much moisture. The good thing about Marula oil, as with many natural oils, is that it works great on all skin types. It is not too heavy, making it to absorb fast into the skin without clogging pores. It keeps the skin moisturized without making it greasy. It is easy for anyone of any skin type to use this oil, either by adding a little to your cream or beauty product or by use it on its own regularly.